Disney Channel’s Teen Beach Movie and its sequel, Teen Beach 2 are two of our favorite movies ever! We love all of the original music in the movie, the terrific dance numbers, and of course, the immensely talented cast-members who all did such an extraordinary job bringing each of their characters to life. Well, there was a special, mini Teen Beach Movie reunion at the City Year Los Angeles Spring Break event that took place on May 6, 2017 at the Sony Studios in Los Angeles, California. 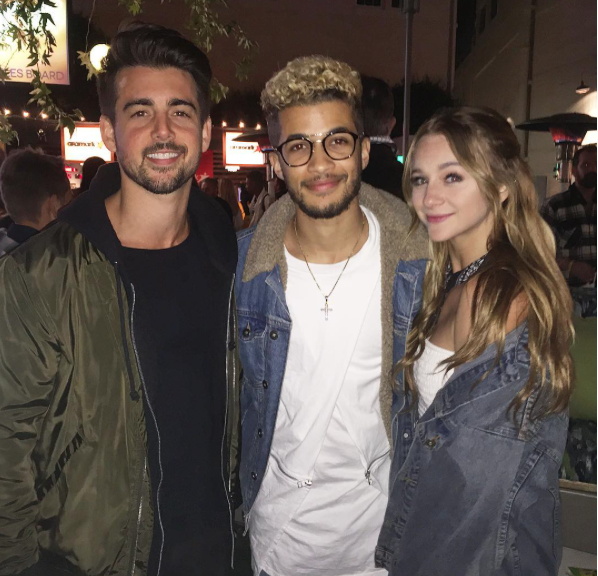 John DeLuca, Mollee Gray and Jordan Fisher had an excellent time being reunited with one another at the inspiring event and they enjoyed getting to hang out together again. We’re totally fan-girling seeing these amazing people together again! Can there please be a Teen Beach 3 movie coming out soon?! Previous Article: Mollee Gray Had A Wonderful Time At The City Year Los Angeles Spring Break Event! Next VIPAccessEXCLUSIVE: Isabella Acres Interview With Alexisjoyvipaccess At “The Meanest Man In Texas” Movie Premiere!